Vermin Scooter Shop: CALGARY SKATEPARKS! 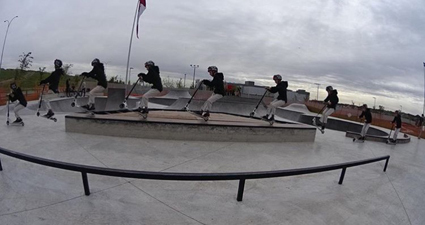 HAVE YOU CHECKED OUT CALGARY’S NEW SKATEPARKS? 3. Protective equipment, especially proper helmets are highly recommended. 4. Garbage cans are at all skateparks - clean up after yourself, and if you want to be truly amazing, clean up after others. If you want a free garbage bag and gloves in a handy package come see us.